This machine has electric conduit jumping function and roller lifting function, which means while stripping the wire head the conduit will lift up automatically to make space for wire end, thus the wire end stripping length can be longer than normal machine. 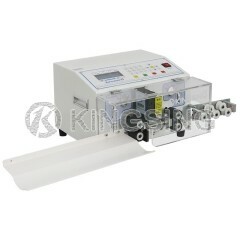 Roller lifting function is the key to make KS-W607 to strip longer wire head than others. 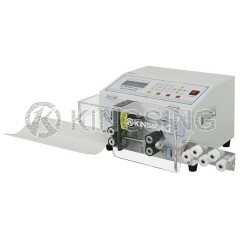 The machine has powerful program function, one machine can meet majority wire processing demands. 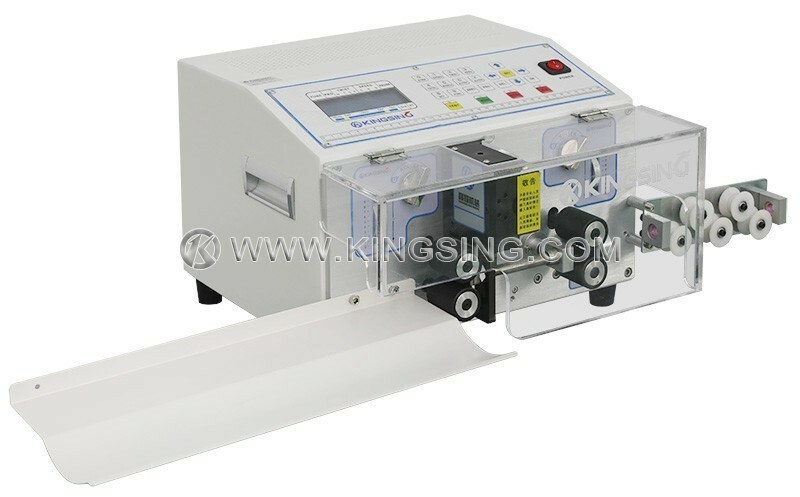 For example, use long wire program to process convention electric wires; use short wire program to cut total length 5mm wires and strip 1mm both ends; choose jacket wire program to do outer and inner wire stripping at the same time, inner core can be half-stripped or full-stripped; multi-section stripping program can be used to finish middle strip, etc. 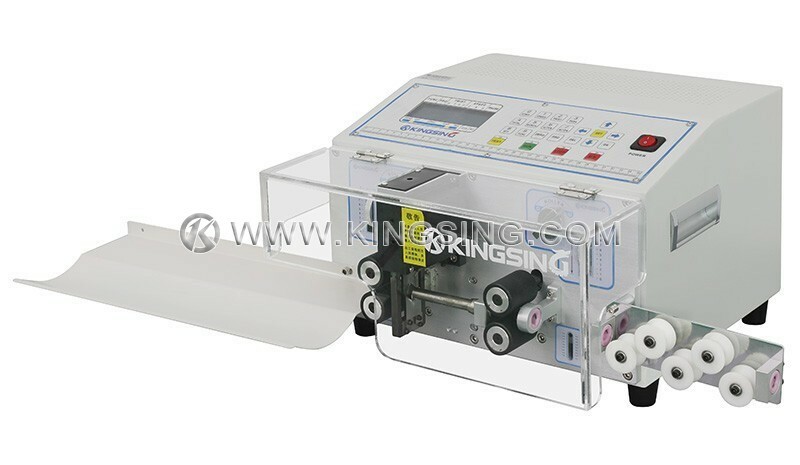 KS-W607 can match conveyer belt while process long wires (if the cutting length is longer than 0.5 meter, conveyer belt is suggested). 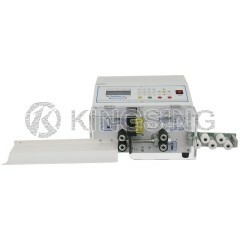 Conveyer belt is designed to save wire collecting time and prevent wire knot. It will largely improve working efficiency.